Education is the process through which learners explore their innate capacity and develop the potential for mindful interaction with all aspects of their living environment. One of the basic aims of education is to inculcate strength of character and nurture a healthy mind and intellect. Beside academic discipline and rigour, education must provide both means and opportunities for the enhancement of creativity. It must develop the capacity for aesthetic expression and appreciation. It must also point the learner towards upholding civic values, respect for law and support of humanitarian ideals. Keeping this in mind, we at Mayoor have developed a mind-set that closely correlates with that of the National Curriculum Framework 2005. "Nurturing Life-skills" like self-esteem, empathy, critical and creative thinking, and decision-making. "Upholding Constitutional values" of sovereignty, socialism, secularism, democracy, republican character, justice, liberty, equality, fraternity, human dignity and the unity and integrity of the Nation. Language provides a bank of memories and symbols inherited from one's fellow speakers and created in one's own lifetime. It is also the medium through which most knowledge is conceived, processed and delivered. Hence it is closely tied to the thoughts and identity of the individual. The goals for English language curriculum are twofold: attainment of basic proficiency, as acquired in natural language learning and the development of language into an instrument for abstract thought and knowledge development. Thus English must be seen in relation to other subjects; a language applied across the curriculum is of particular relevance to primary education, and later all teaching is in a sense, language teaching. This perspective bridges the gap between "English as teaching subject" and "English as medium of instruction ". Thus language – as a constellation of skills, thought encoders and markers of identity–cuts across school subjects and disciplines. Speech and listening, reading and writing, are all general skills, and children's mastery over them becomes the key factor affecting success at school. The mathematics curriculum at upper primary level emphasizes the understanding of the number system- fractions, negative numbers, spatial understanding, data handling and variables- important cornerstones that would formulate the basis of the student’s ability to understand abstract mathematics. The underlying philosophy of the course is the development of the confidence and competence of students, pointing their sights towards the higher realms of mathematics. Class VI Students are introduced to the abstract nature of mathematics while the ability to construct their own concepts is encouraged. Topics include: knowing numbers, playing with numbers, whole numbers, negative numbers & integers ,fractions , introduction to algebra , ratio & proportion , basic geometrical ideas, understanding elementary 2-D and 3-D shapes , symmetry , constructions (using straight edge scale, protractor, compasses),concept of perimeter and introduction to area, pictograph , making bar graphs for given data and interpreting bar graphs. One important human response to the wonder and awe of nature from the earliest times has been to observe the physical and biological environment carefully, look for any meaningful patterns and relations, make and use new tools to interact with nature, and build conceptual models to understand the world. This human endeavour has led to modern science. Broadly speaking, the scientific method involves several interconnected steps: observation, looking for regularities and patterns, making hypotheses, devising qualitative or mathematical models, deducing their consequences, verification or falsification of theories through observations and controlled experiments, and thus arriving at the principles, theories and laws governing the natural world. The laws of science are never viewed as fixed eternal truths. Even the most established and universal laws of science are always regarded as provisional, subject to modification in the light of new observations, experiments and analyses. Science is a dynamic, expanding body of knowledge, covering ever-new domains of experience. In a progressive forward-looking society, science can play a truly liberating role, helping people escape from the vicious cycle of poverty , ignorance and superstition. The advances in science and technology have transformed traditional fields of work such as agriculture and industry, and led to the emergence of wholly new fields of work. People today are faced with an increasingly fast-changing world where the most important skills are flexibility, innovation and creativity. These different imperatives have to be kept in mind in shaping science education. Since Science is mainly idea and exploration, we have six well equipped Science laboratories with the latest facilities for experimentation, along with IT facilities. The teacher acts only as facilitator. Content, process and language of science teaching is in tune with the learner's experiential and cognitive reach. Science teachers engage learners in the process of acquiring methods and processes that nurtures their curiosity and fuels creativity. Science teaching is placed in the wider context of the whole environment and equips students with requisite knowledge and skills to be useful to themselves and to others. Awareness of environmental concerns permeates the entire process of thought and action. The social sciences encompass diverse concerns of society, and include a wide range of content drawn from the disciplines of History, Geography, Political Science, Economics, Sociology and Anthropology. Social Science perspectives are indispensable to the understanding of the conditions and mechanisms of a just and peaceful society. The content aims at raising students' awareness through a critical exploration of the fabric of social reality. It provides the social, cultural, and analytical skills required to adjust to an increasingly inter-dependent world with complex political and economic realities. Emphasis is laid on the understanding of concepts and the analysis of socio-political realities. The social sciences are becoming increasingly relevant for jobs in the rapidly expanding service sector. They are also essential areas of understanding leading to the development of analytical and creative ability. Information and Communication Technology (ICT) has immense potential to impact education – of pupil, of teachers, of teacher educators and others and provide fresh and more effective ways of overcoming some of the challenges presented to the educational system of our country. The core of computing is Information Technology, in which pupils are taught the principles of information and computation; how digital systems work, and how to put this knowledge to use through various application software. They learn to operate the computer; as also store, retrieve and manage data. They use computers to achieve basic word and data processing tasks, create presentation, connect to the internet, use e-mail and web surfing search engines; operate and manage content from external devices. Working with image editing programs, video editing and web designing, offers lots of opportunities that help to stimulate creativity. Building upon this, pupils are equipped to use Computer Science to learn database applications, data analysis and problem solving through programming. 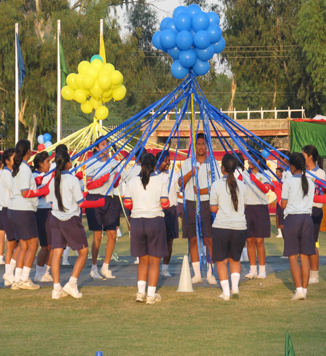 The higher secondary stage is important as it offers a choice of subjects to students. For some students, this stage may be the end of their formal education, leading to the world of work and employment. For others, it becomes the foundation for higher education. They may choose specialized academic courses or job-oriented vocational courses. The foundation at this stage should equip them with basic knowledge and the necessary skills to make a meaningful contribution in the field they choose. A range of courses from the social sciences and commercial or business studies may be offered. Students exercise their choice. Students have the freedom to opt for subjects or courses according to their need, interest and aptitude. The Humanities stream will include disciplines like political Science, Geography, History, Economics, Sociology And Psychology. Commerce may include Business Studies and Accountancy.